Eaze-Off Adhesive Bandage & Tape Remover temporarily denatures the adhesive properties of high tack fixation, support and compression bandage glues which allows painless removal which minimises trauma to the healing process. 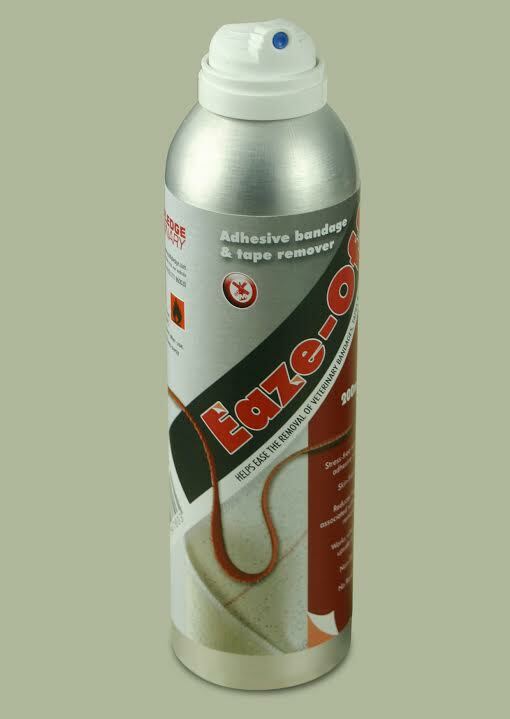 Eaze-Off only temporarily suspends the tack as it completely evaporates and leaves no film barrier or residue to prevent re-adhesion of the next dressing to the animal. There are currently no questions for Eaze-Off Adhesive Bandage & Tape Remover - be the first to ask one!